1. 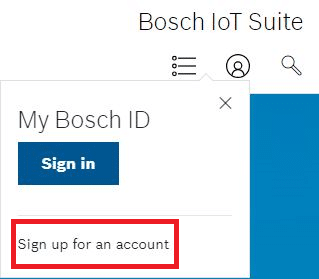 Go to “My account” > “Sign up for an account” to register for a Bosch IoT Suite account with your Bosch ID. If you do not have a Bosch ID yet, you can easily create one there as well. 2. Learn about the Bosch IoT Suite services and service packages in the service catalog. 3. Choose the service plan you want to use and click on the “Subscribe” button. 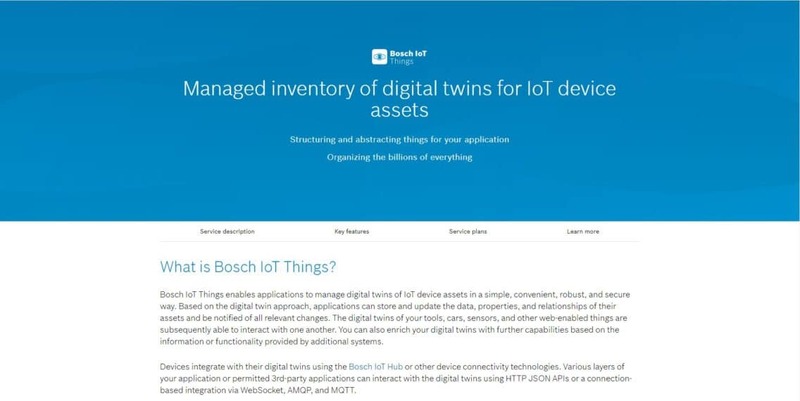 You will need to sign into your Bosch IoT Suite account if you have not already done so. a) Select and confirm the service plan you want to use. b) Make sure to give a meaningful instance name for this subscription. c) Click on the “Subscribe” button when you are done with service configuration. 5. 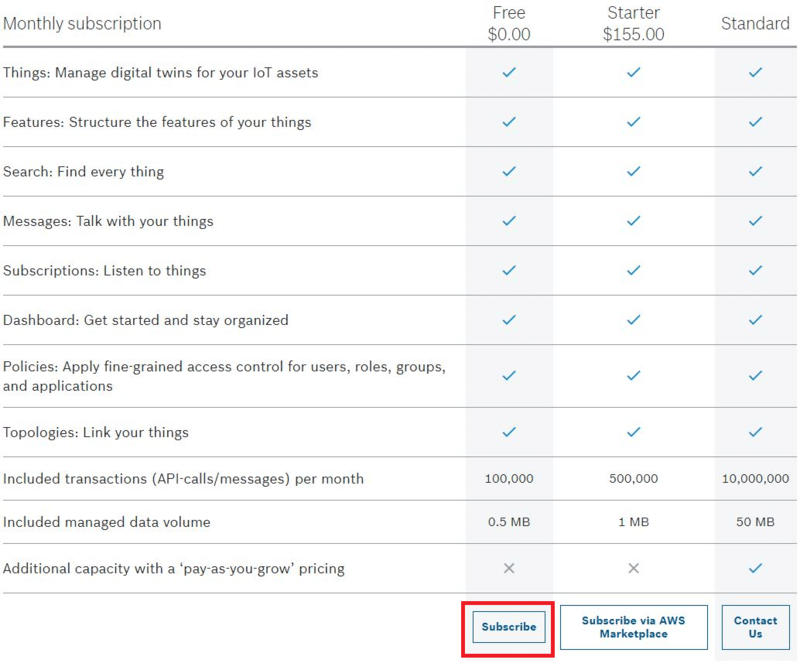 As soon as the subscription status is shown as “Active” on the service subscriptions page, you can start using the Bosch IoT Suite service. Our getting started guides will help you start using our cloud services.